More than 25 years after the state determined that 1,2,3-TCP causes cancer, the State Water Resources Control Board voted to approve a standard for the chemical in drinking water. They set the limit at 5 parts per trillion, a level supported by clean water and pesticide reform advocates. The state will now start water systems to test all of their wells every month starting in January. Board chair Felicia Marcus called the vote, “a very important day for public health." The state water board has proposed a standard for 1,2,3-TCP and held a hearing to receive public comment. The state is proposing that the maximum contamination for 1,2,3-TCP in drinking water be set at 5 parts per trillion. The nonprofit Community Water Center, which advocates for safe, clean drinking water in the San Joaquin Valley, testified in support of the proposed standard. State water officials have not yet formally implemented the standard, but they have issued an updated map showing contaminated wells. The Fresno City Council has authorized a study to find out how to remove 12,3-TCP from the city's water supply. In January, The State Water Resources Control Board is expected to roll out the draft of a first-ever enforceable standard for 1,2,3-TCP in California drinking water. In December, the city of Clovis, in Fresno County, won a $22 million court judgment against Shell Oil Co., for TCP contamination in wells. More than 40 other cases remain open. Wait...what? I have two little kids, and my family drinks the tap water. And it might cause cancer? I decided to fork out $200 to get mine tested. And to start digging into how 1,2,3-TCP got into the water. Turns out, it’s not just Fresno. According to the State Water Resources Control Board, 1,2,3-TCP has been found in about a hundred public water systems across California, mostly in the Central Valley but also in counties like Santa Cruz, Monterey, Sacramento, and Los Angeles. 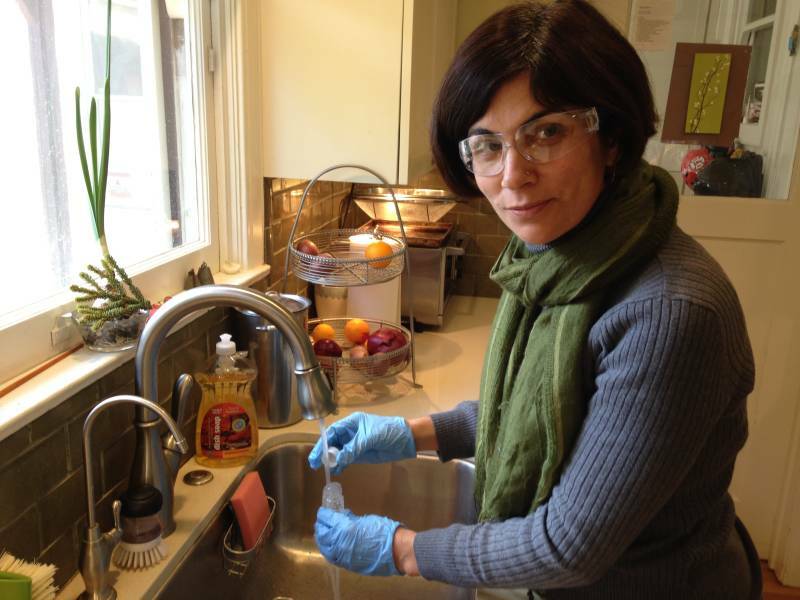 But many Californians don't know whether this stuff is in their water, because neither the state nor the federal EPA regulates 1,2,3-TCP in drinking water. So that means public utilities don’t have to test for it, filter it out, or advise their customers if it’s in the water. Water systems where significant levels of contaminant 123-TCP have been detected. That’s even though the state determined it was a carcinogen back in 1992. And the California Office of Environmental Health Hazard Assessment (OEHHA) set a very low public health goal for 1,2,3-TCP in 2009. “There is no absolutely no question that is a genotoxic carcinogen,” says Robert Howd, a toxicologist who led the scientific review for OEHHA. There have been no studies of 1,2,3-TCP’s effect on humans, but animal studies showed multiple tumors at multiple sites in both rats and mice. Howd’s team set the public health goal at .7 parts per trillion (.0007 parts per billion) The only carcinogen with a lower state public health goal for drinking water is dioxin. How Did It Get Into the Water? “This whole story begins in the 1930s, the dawn of the age of chemical agriculture” says San Francisco attorney Todd Robins. 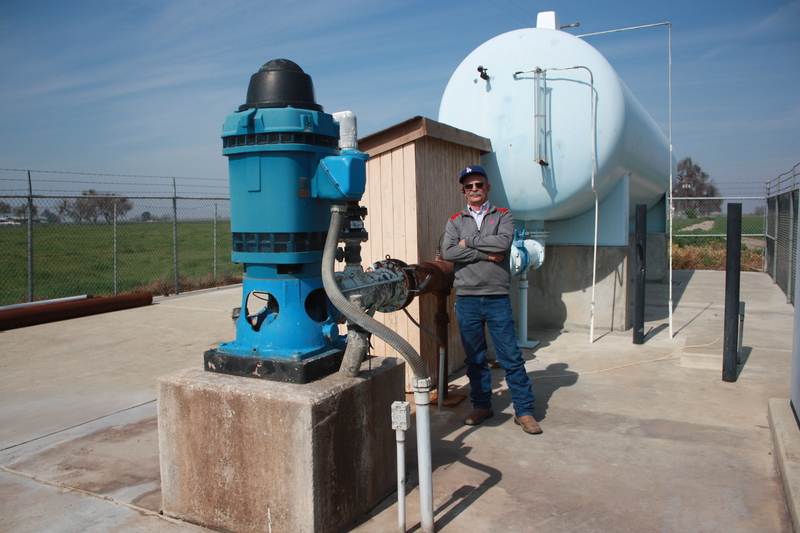 He represents about 30 communities around the state who are suing over 1,2,3-TCP contamination, and he’s spent the last decade trying to track how it leached into groundwater. “Somebody at the Pineapple Research Institute in Honolulu got ahold of this sample of what was essentially hazardous waste from a chemical production process at Shell,” he says, "and he used it in some experiments." The experiments, Robins says, were to figure out how to control nematodes, tiny microscopic worms in the soil that attack a plant’s roots. “Shell saw a huge opportunity to take a hazardous waste stream from their chemical plants ... and start putting it in barrels, and selling it to farmers,” says Robins. "Then Dow soon followed suit." The companies sold the product to farmers as a fumigant, which is injected into the soil. Robins has compiled a huge stack of documents that show neither Dow Chemical nor Shell listed 1,2,3-TCP on their product labels, even though it was one of several ingredients. One of Dow’s own scientists admitted that the compound had served no function killing nematodes. “Some of the most startling information is how clearly the companies understood from a scientific perspective the amount of garbage they were putting into these products,” says Robins, "and knowingly having farmers essentially dispose of their hazardous waste for them on farm fields throughout our state." In a few cases, Dow and Shell have paid to clean up groundwater with 1,2,3-TCP. But in the more than 3 dozen cases filed against the companies over the contamination, they’ve never admitted any wrongdoing. Both Dow and Shell declined my request for a taped interview. They sent me emails saying they couldn’t comment on active litigation. Dow spokesman Randy Fishback wrote that fumigants with 1,2,3-TCP were part of what he called "historical, highly beneficial agricultural products" that “controlled agricultural pests that otherwise would have caused millions of dollars in annual crop losses.” He added those products have been off the market for several decades, and that "TCP is also associated with certain industrial processes in which Dow had no involvement." 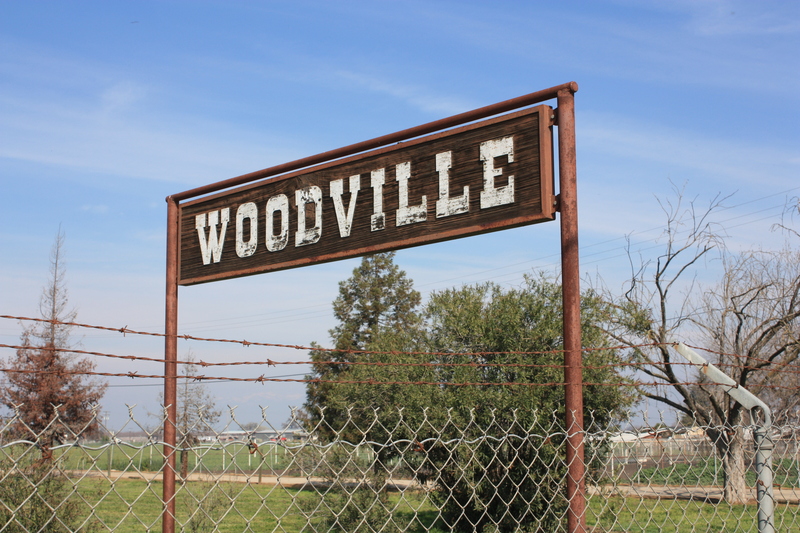 Some of the communities suing Dow and Shell have only a few hundred households, like Woodville in rural Tulare County. Ralph Gutierrez runs the water system here. “I’m the meter reader, I’m the sewer line cleaner, I do the budget,” says Gutierrez, grinning in his cowboy boots and Dodger hat. He unlocks the gate to show me one of the town’s two drinking water wells, surrounded by orchards and cow pastures. These wells serve a total of 467 households, and 1,2,3-TCP has been detected in the water at 7 parts per trillion, ten times the public health goal. Gutierrez says there’s no way he can raise water rates high enough to pay for expensive carbon filtration to keep the carcinogen from reaching people's taps. “I wouldn’t want my kids drinking it,” he says. “Would Dow Chemical or Shell like their people to be drinking this water? I don’t think so." Turns out the sample from my kitchen tap comes in at 2.2 parts per trillion. That’s three times the state public health goal for 1,2,3-TCP. OEHHA sets its goal to try to reduce the lifetime cancer risk to less than one in 1 million. So my risk is three in 1 million, over a lifetime drinking my tap water. Of course, my overall risk of getting cancer from any source is much higher; it's more like one in three. Truth is, I should probably be more worried about secondhand smoke, or Fresno’s notoriously dirty air. But I’m not taking any chances with my kids. I’ve installed an undersink filter that says it takes out Volatile Organic Compounds (VOCs). But there’s no guarantee it takes out 1,2,3-TCP, because without a government standard, it’s not rated for that. 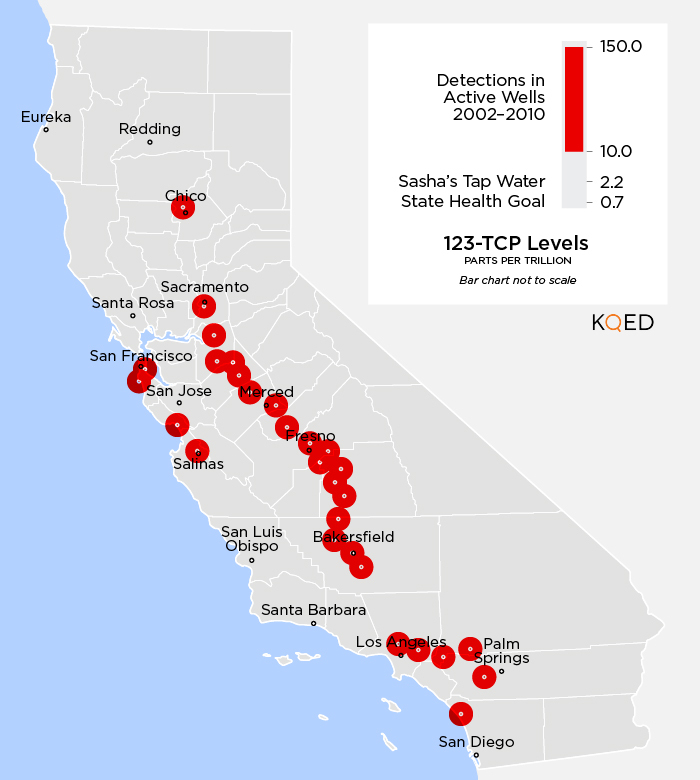 Some water systems in the Central Valley have levels of 1,2,3-TCP that push the potential cancer risk to roughly one in 6,000. And a grassroots group called Community Water Center is pressuring the state to set a maximum contaminant level for the compound. That's an enforceable standard, unlike the public health goal. Nearly 25 years after California declared 1,2,3-TCP to be a carcinogen, drinking water regulators are planning to set that level by next spring. Like conducting their own peer-reviewed science, taking public comment, and evaluating the cost of detection and cleanup -- not just the health risks. “It’s our number one priority,” says Forbes. "It’s my priority, it’s the board’s priority." Sasha Khokha has since moved from Fresno to the Bay Area, where she hosts KQED's weekly edition of The California Report.